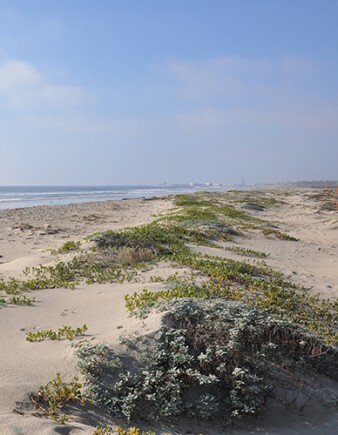 Aspen managed the preparation the Ormond Beach Wetlands Restoration Feasibility Plan for the California State Coastal Conservancy. Ormond Beach is located along the southern coast of Ventura County, California, adjacent to the City of Oxnard. Development of the plan involved a technical team of ten environmental consulting firms and coastal habitat restoration experts. The team completed over 15 resource/issue-specific and interdisciplinary tasks, including: characterization of existing conditions and infrastructure; establishment of short- and long-term restoration goals and recommendations; identification of potential land management partners and funding sources; examination of potential soil and water contamination issues associated with the project site; identification of regulatory requirements and processes; identification and development of six restoration alternatives; and establishment of evaluation criteria and metrics for comparison of alternatives. The plan addresses six alternatives ranging between 772 and 1,759 acres of land, including constrained and unconstrained versions of a new tidal lagoon, seasonally open wetlands and ponds, and enhancement of non-tidal wetland habitats. The plan additionally addresses a “No Project” alternative. Development of the alternatives involved extensive hydrodynamic modeling and physical process analysis, cost analysis and estimates for implementation, identification of the specific types of habitat types to be created or restored, consideration of sustainability and sea level rise, and preliminary design plans.